If you need a Syquest Sparq EzFlyer Ez135 and Syjet Disks service, then contact our friendly company. Syquest produced a series of disks known as Sparq, EzDrive, EzFlyer, Ez135, and Syjet. 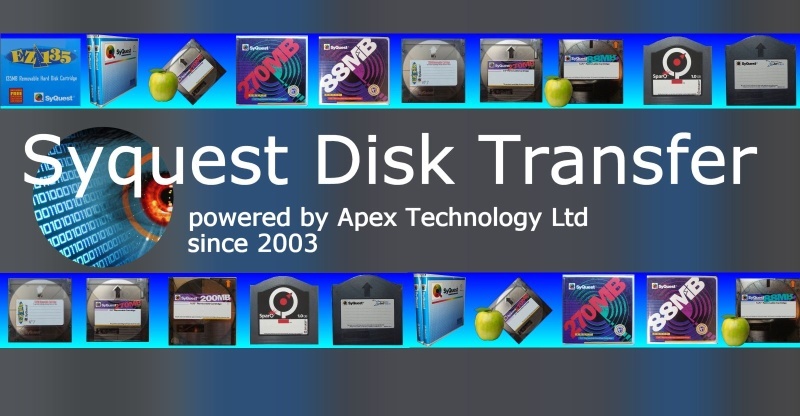 They disks and drives were popular with Apple Macintosh owners - particularly their 44MB which provided relatively cheap removable storage enabling users to scale their file archiving as required. Popular disks we frequently receive for data recovery are the 88mb 44mb, EZ135, EzFlyer, 105MB and 270MB. The disks were 3.5inch or 5.25 inch square. Other less popular disks sent for file transfer are Syquest 200MB, Sparq and Syjet disks.